Brine Womens Flow Microknit Shorts are constructed out of 90% eXtreme microknit Cationic colorfast polyester/10% spandex with moisture management fibers. 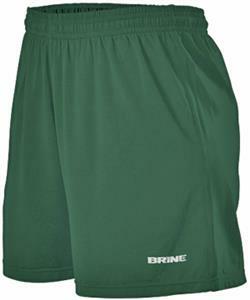 These shorts feature a single ply, 1 1/2" covered elastic waistband with inside drawcord and 5" inseam. WAIST 22" 23-25" 26-28" 29-31" 32-34" 35-37" 38-40"
These shorts are very comfortable. l nice quality.